Students at Hazard Primary School are escorted across the pedestrian crossing by Parris Lyew-Ayee (second left), chairman of the JN Foundation; Rose Miller (third left), grants manager, JN Foundation; Mary Smith, Board Member of the JN Foundation and Mike Henry (in the background), Minister without Portfolio in the Office of the Prime Minister and Member of Parliament for the constituency. 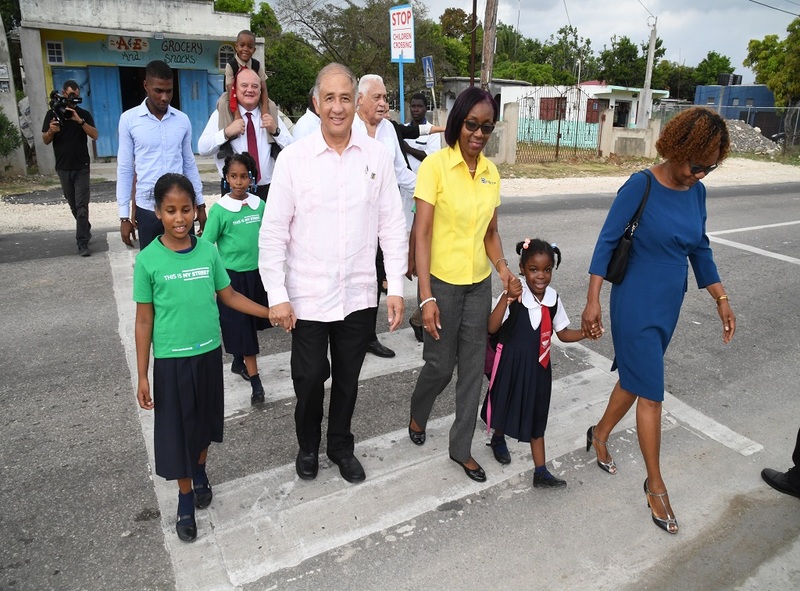 Eighteen schools across the country are to benefit from physical improvements to their school zones road infrastructure over the next three years, which will be implemented by the JN Foundation’s“X” Marks the Spot Crosswalk Road Safety Campaign. 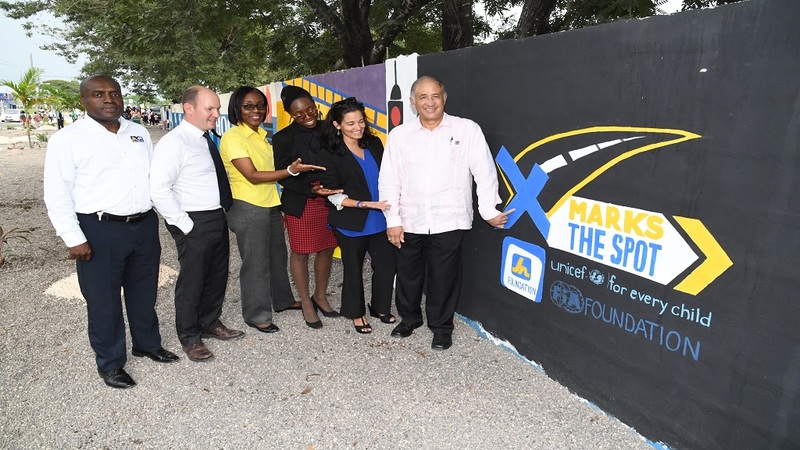 Parris Lyew-Ayee, chairman of the JN Foundation, made the disclosure at the unveiling of the upgraded infrastructure work done at the Hazard Primary School in Clarendon, on Wednesday, under the first phase of the“X” Marks the Spot Crosswalk Road Safety Campaign. 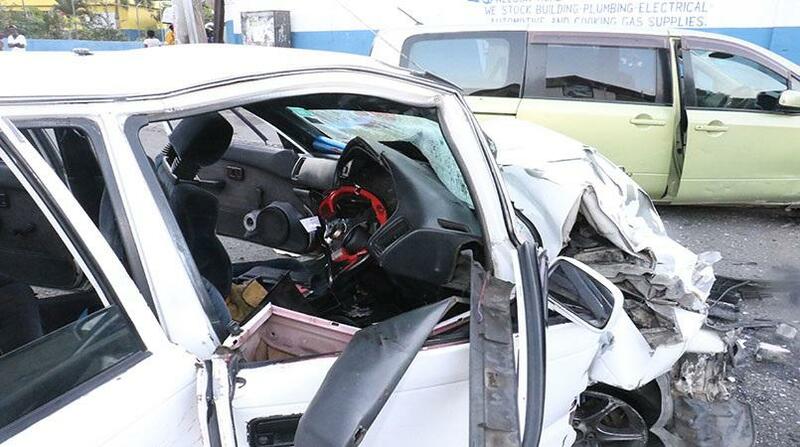 Over the past five years, more than 120 children have died on Jamaica’s roads. Countless children continue to suffer from life-altering injuries, which area direct result of the over-70 kilometers traffic crashes, within 100 metres of school zones, during the past decade. “The campaign aims to encourage advocacy and discussions about road safety in schools and households; and to use the results of the Child Road Safety Assessment Report to identify other areas for the infrastructural interventions, which will include the installation of crosswalks, signs, speed reduction surfaces and other counter measures,” said Lyew-Ayee. The JN Foundation chairman noted that Hazard Primary School was the first of 18 schools to be upgraded under the campaign. The educational institution benefitted from the erection of signage for bus lay-bys, pedestrian gates and the widening and paving of the sidewalks. 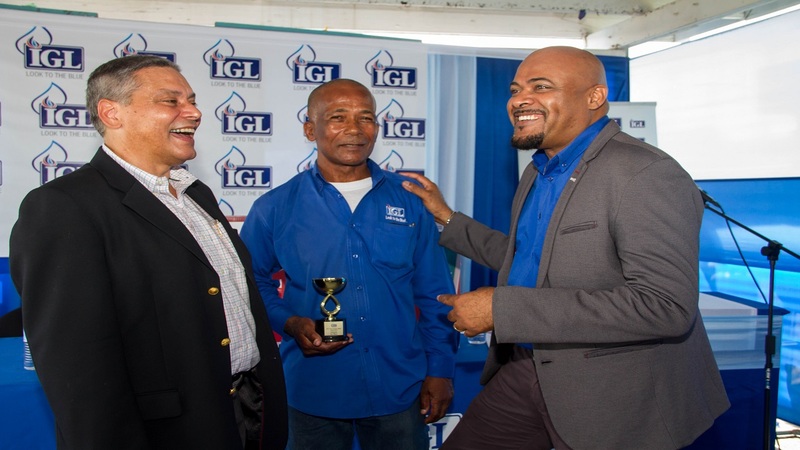 Minister without Portfolio in the Office of the Prime Minister and Member of Parliament for Clarendon Central Mike Henry commended the JN Foundation and its international partners for the improvement undertaken at the school. The “X” Marks the Spot Road Safety Campaign is being implemented in collaboration with the United Nations Children’s Fund (UNICEF), the FIA Foundation based in the UK, and the Abertis Foundation based in Spain. Dr. Rebecca Tortello, quality education specialist at UNICEF, said the initiative is a critical effort to raise awareness about road safety and better protect children. “We are working together with the JN Foundation and our funders, the FIA and Abertis Foundations, to help ensure that all children enjoy a safe route to and from school. Importantly, the partnership is enabling us to uplift the crossing zones for 18 schools in areas with the highest incidences of road accidents,” she said. Avi Silverman, deputy director,FIA Foundation, stated thatXMarks the Spot Campaign is pioneering work in Jamaica where children are being protected with life-saving solutions. “The new infrastructure around Hazard Primary and the first school to take part in this programme, will reduce road traffic injuries and fatalities. There can surely be no more important objective than keeping our children safe on their way to school. Jamaica can be an example to the rest of the world, leading the way to give every single child a safe and healthy journey to school,” he said. The campaign is being informed by a recently completed Child Road Safety Assessment Report commissioned by the JN Foundation, which provided baseline data to improve the safety of children on roads, particularly near, or on their way to school. The research identified specific schools and zones where children are most vulnerable to incidences of road traffic crashes, injuries, and fatalities. 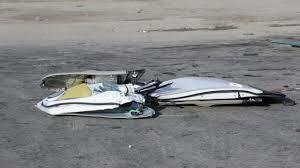 These areas require specific infrastructural and/or safety interventions, both at the physical and social levels.